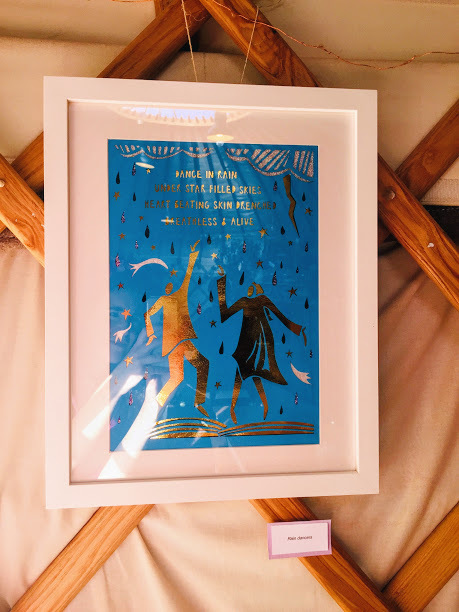 This past month I’ve had an exhibition at London’s only Yurt Cafe! It was great to share a collection of my recent paper cuts, and receive some super kind, useful and encouraging feedback in return. :) Thanks so much if you popped by to visit, and an extra special thanks if you supported me and my work by buying one of the pieces! I’m currently making Christmas cards and gifts, then new things will be on their way in the new year. As always, if you have a commission idea or any other kind of request in the meantime, just get in touch!